I don’t know about you, but dinner is the last thing on my mind on Halloween night! I’ve got faces to paint, accessories to find, and about 1,000 Twixes to eat. 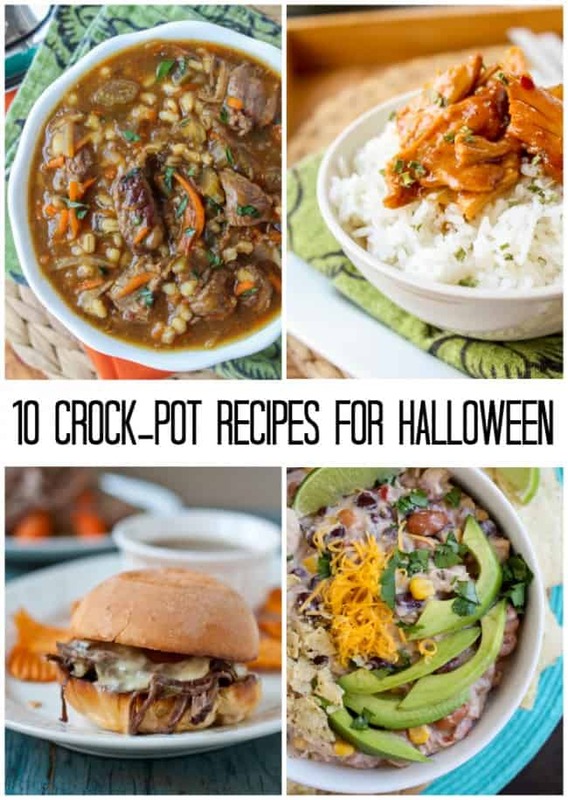 The Crock Pot saves me every year from being a totally irresponsible mom and letting my kids eat nothing but candy all night. 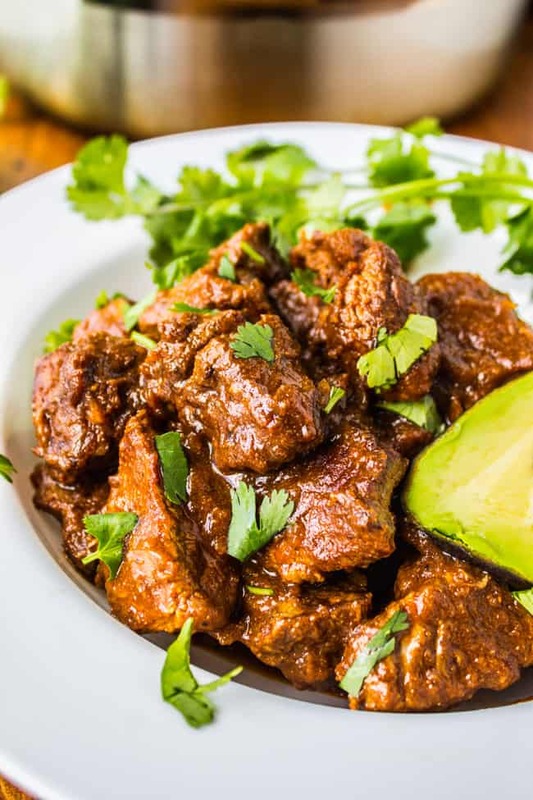 Slow cookers for the win! A couple weeks ago we were at a restaurant with the kids. I ordered Truman the Mac and Cheese. He took one bite and set his fork down. “Mama, I want that on it.” And he points to the dish of butter that was served alongside our bread. But all that goes out the window on Halloween night. We are pretty strict with our kids and their sugar intake, so I figure one night a year I can let it slide. They are allowed full access to their candy bags for the night, and after that it’s strictly rationed. 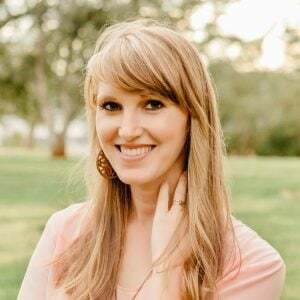 I remember once a couple years ago I spotted Charlotte near the end of Halloween night (way past bedtime) sitting on the bottom step of the stairs, chewing on a Starburst and staring vacantly at the wall. She looked like a total junkie, except smaller and cuter. I figure the best way to combat an actual sugar coma is to fill them up with lots of protein before they head out for the evening. But who’s got time to make dinner when you have multiple costumes to put together? Enter slow cooker. 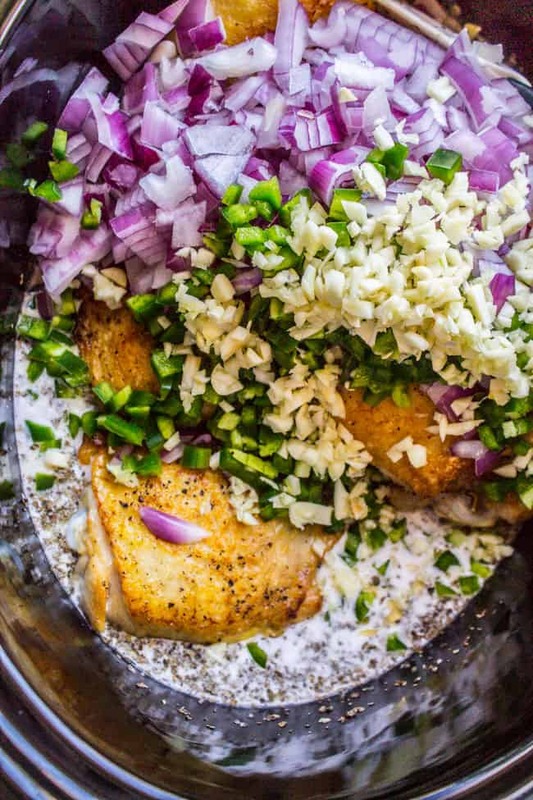 Do all the work in the morning so that when it’s dinnertime you can just open the lid and serve dinner. Win! 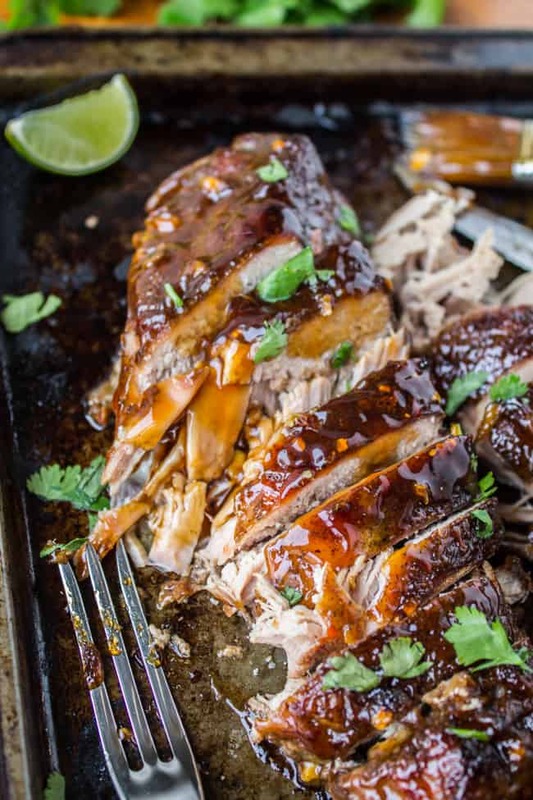 Check out my Slow Cooker archives if you want even more ideas! Happy Halloween everyone! 1. Slow Cooker Basil Chicken in Coconut Curry Sauce: I published this recipe earlier this year and it has shot up to one of the top viewed recipes on my site. 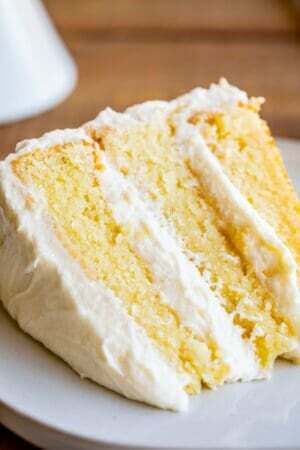 It is easy and super delicious! 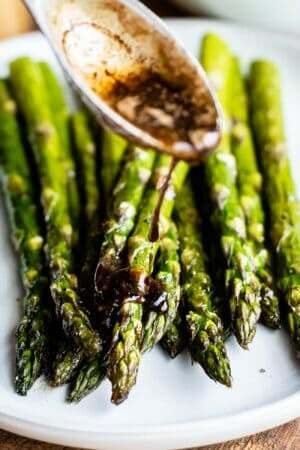 It is great served with rice or if you have time it’s great with this Cauliflower Rice for a low carb meal. 2. 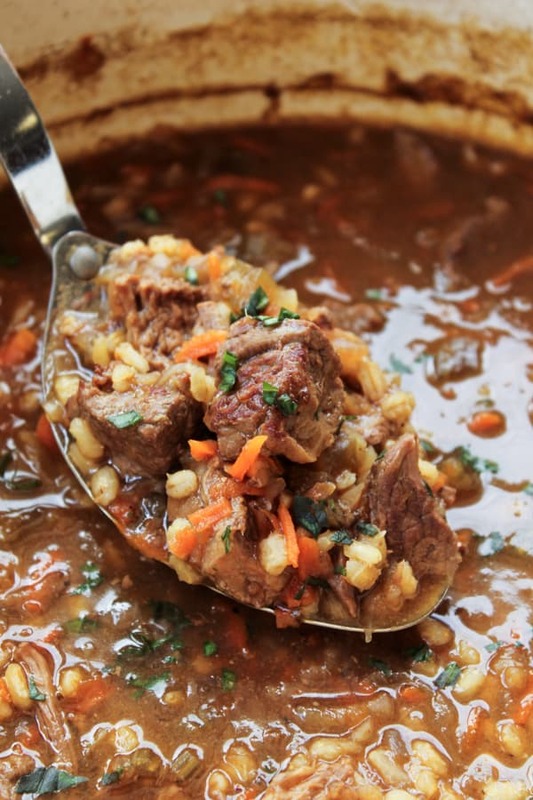 Beef Barley Soup (Slow Cooker): This is another top recipe on the blog. This soup is so beefy it’s ridiculous. Check out all the reviews, it’s a huge favorite! 3. 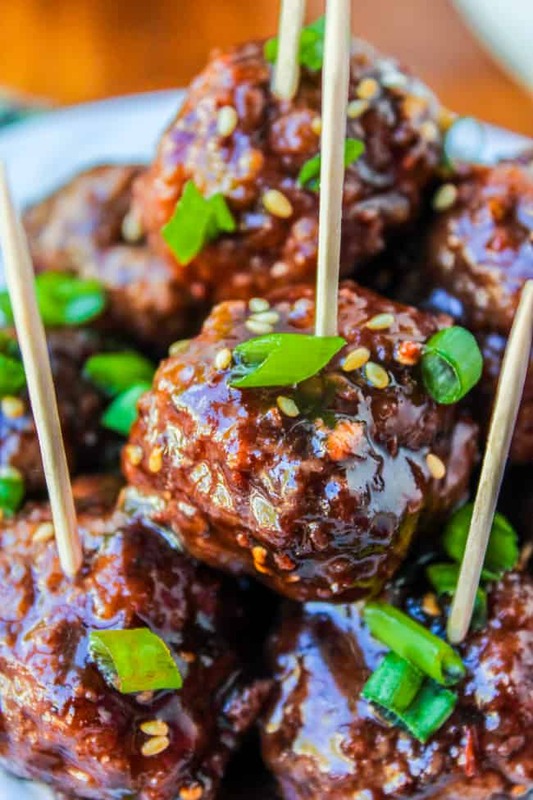 (Slow Cooker) Raspberry Balsamic Meatballs: I just made these meatballs last week while we were at Disneyland (we rented a house and cooked some of our own meals). 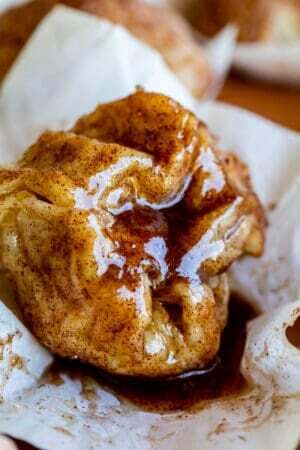 So easy to throw together in the morning, especially if you use store bought meatballs. Or you could make a batch of these Easy Baked Meatballs ahead of time! 5. 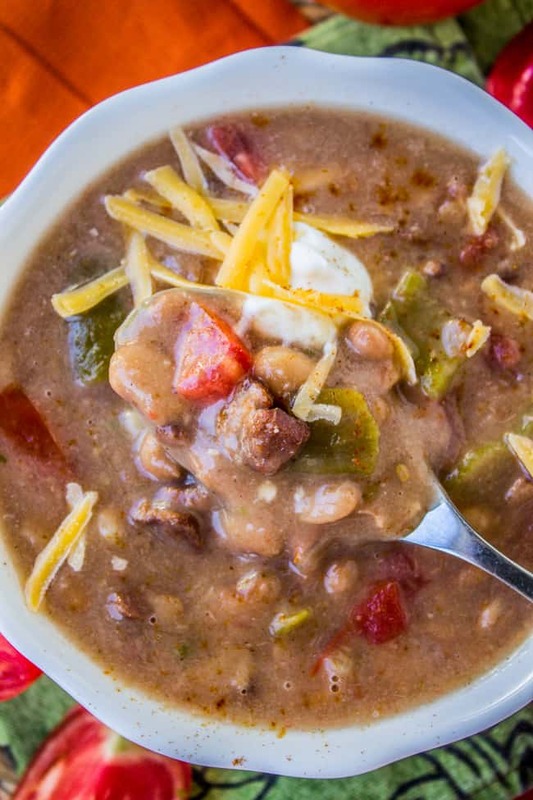 Cowboy Pinto Bean Soup (Slow Cooker): I love this soup! It’s another classic from my mother-in-law Kris. Eric ate this all the time growing up. It’s easy. 6. 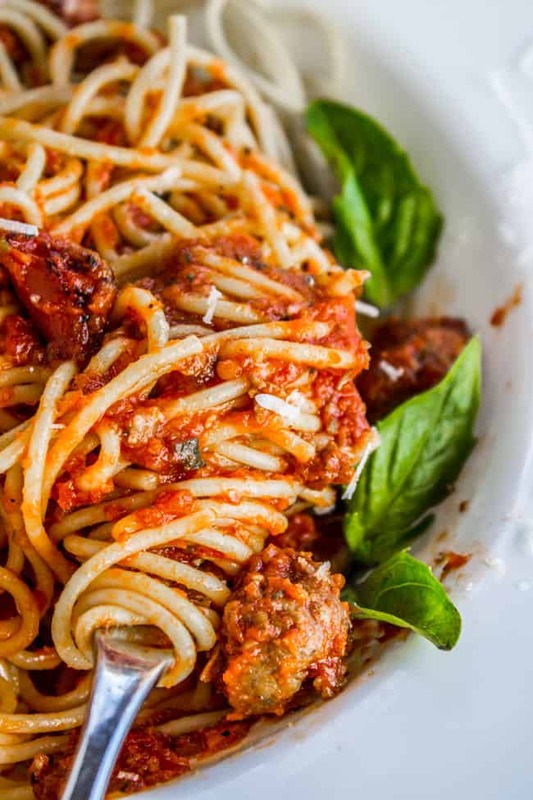 Healthy Slow Cooker Spaghetti Meat Sauce: This is a good stick-to-your-ribs spaghetti sauce that will pair nicely with All The Candy that you will be eating later. 7. 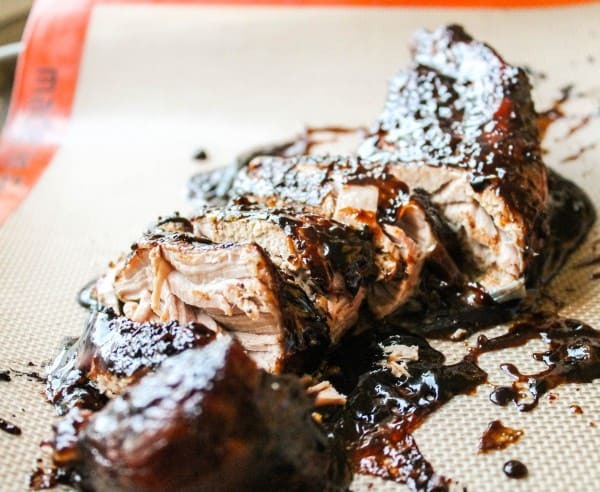 Brown Sugar Balsamic Pork Tenderloin (Crockpot): This recipe is so easy and yet is packed with flavor! 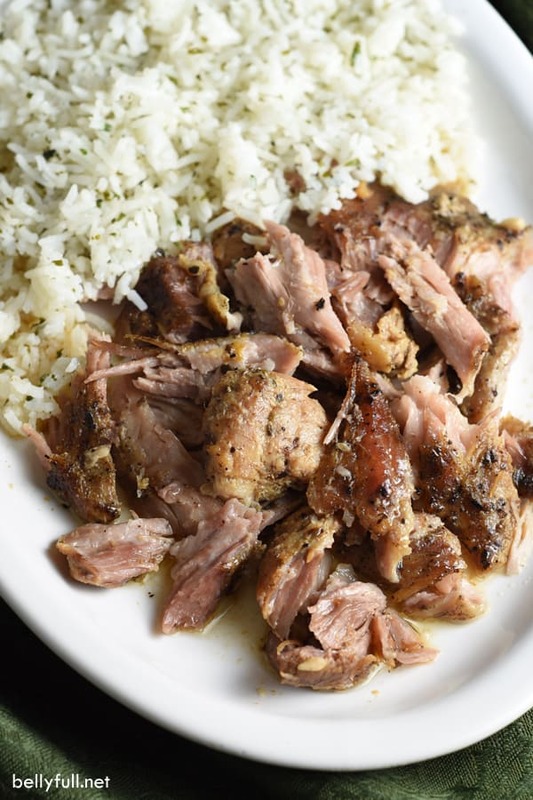 The pork just falls apart, and the crispy crust is to-die-for. 8. 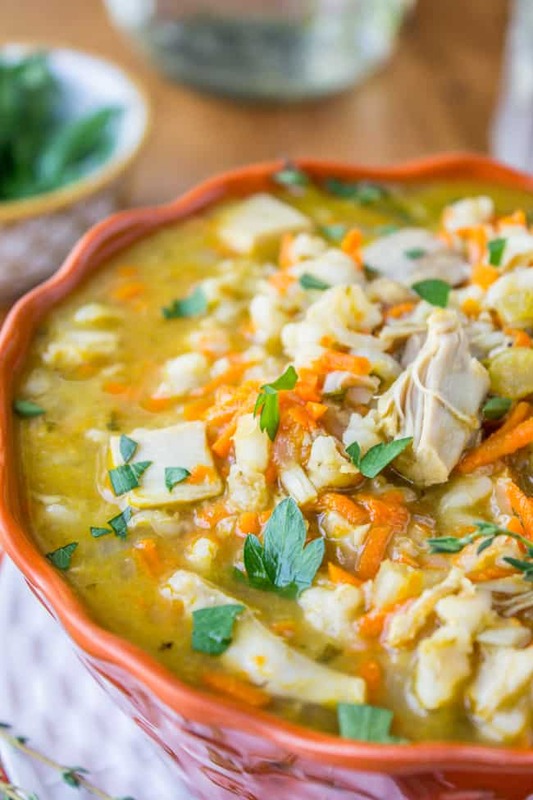 Slow Cooker Turkey Barley Soup (Or use chicken! ): I created this recipe one year after Thanksgiving to use up some extra cooked turkey, but you could easily sub chicken. It’s a poultry version of my favorite Beef Barley Soup. 9. 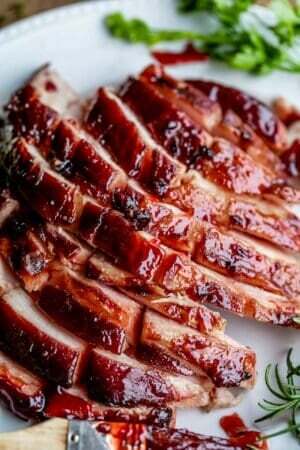 Asian Pork Tenderloin with Ginger Glaze (Slow Cooker): Another easy pork recipe! What’s not to love? 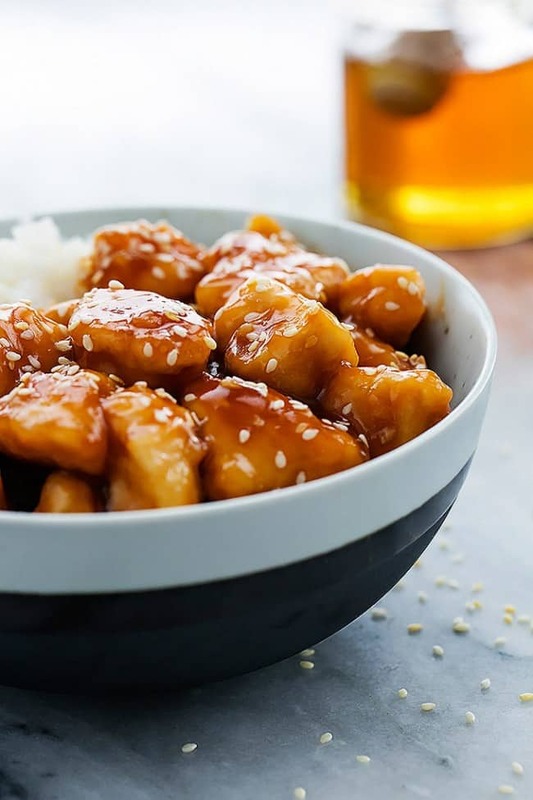 It’s great served with rice or this Asian Cauliflower Rice. 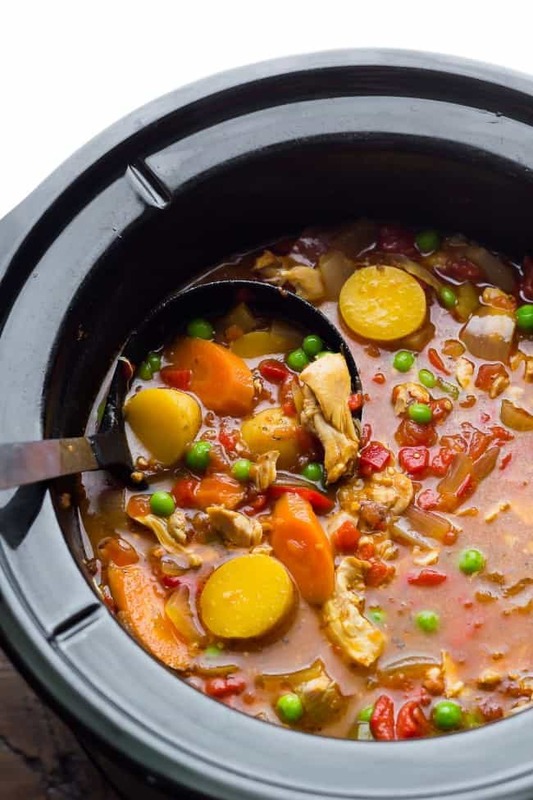 Here are a few more slow cooker ideas from friends! 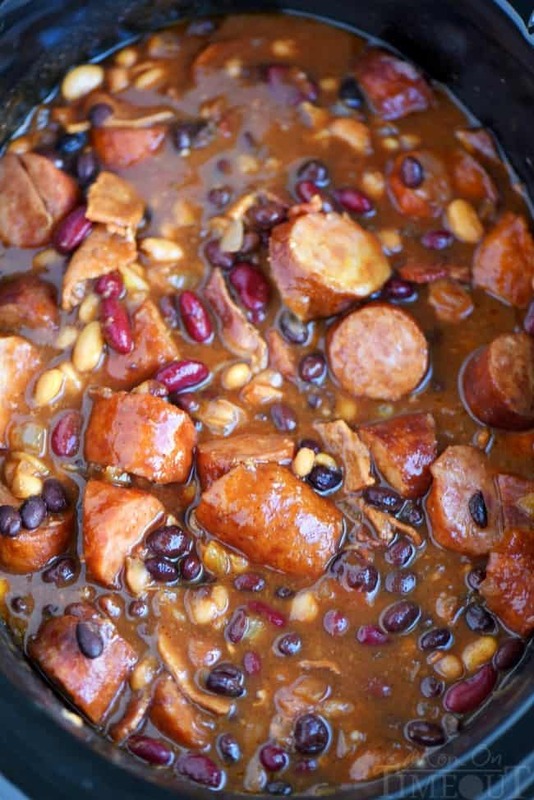 Here’s another crock pot round up from a couple years ago! See I told you I’m a firm believer in crock pot dinners on Halloween :) yes, the Beef Barley Soup was on that round up too. Don’t judge me, it’s just so good! I love your rules for Halloween night! Your kids must love that they have full access to their candy, at least for one night. Such a good mom you are! 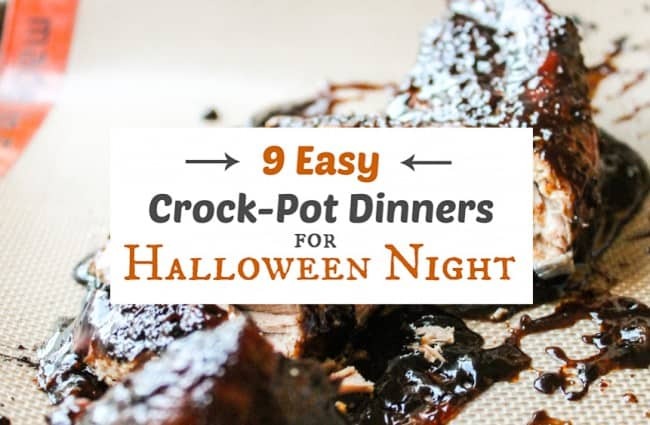 :) And crock pot meals sound like the perfect dish for Halloween, too. Everything looks SO good! Pinning a bunch! Ha, I don’t know about good mom, maybe “mom who’s too tired from having kids up so late that she gives up on discipline.” haha! Thanks Gayle! I so agree with you – we do the same thing and ration our kid’s candy out for which seems like forever! If we still have halloween candy by Easter, it gets thrown out, lol! I always use the crockpot too, but every year we have chili! I need to try your coconut chicken curry – it looks amazing! Haha I like the Easter rule! And chili on Halloween is always perfect. I need to hurry up and make a slow cooker chili recipe to add to this round up! I’m not going to lie, the crock pot has saved my behind more than once!! I love using it and I don’t know why I don’t have more of them on the blog. Love, Love, Love this round up Karen!! my parents were the same way with sugar/candy. i was never allowed to have drinks or cereals with added sugar, for instance. we had a “treat basket” and IF i was good *and* finished all my dinner, i was allowed to pick one little thing from it. but on halloween it was unrestricted access, heh. but you know what? i mostly wanted to count it out & organize it all into little piles. like i wanted to get the most candy even though i didn’t want to pig out on it! of course i ate some, but most of it collected dust once my mom had finished eating the things she liked over time, & the rest got tossed eventually. also? my sister (who is ten+ years younger than me) used to eat the little butter packets at restaurants. i remember being so grossed out and mad every time she did it and my parents let it happen. i think my gramma let her do it once because, you know, grandparents but after that it just stuck. but i guess it kept her quiet lol. Yes!!! The counting and the organizing! My kids aren’t old enough for that yet but I so remember this. I can’t BELIEVE your sister ate butter packets. That’s awesome/horrifying/hilarious all at once. haha! I am loving the look of that beef barley soup for Halloween night. We have a huge neighborhood party and I need to bring a dish. This looks perfect. And I share your love of butter! That’s so fun that you have a huge neighborhood party! I should start that tradition!